HE Lieutenant General Dhahi Khalfan Tamim, Chairman of the Juveniles Awareness and Care Association honoured Union Coop for its support towards activities of the association during 2018. 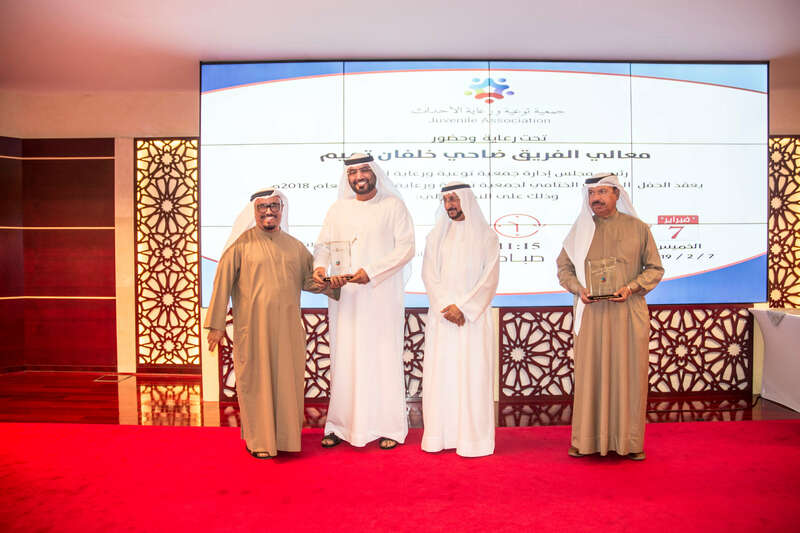 Dr Suhail Al Bastaki, Director of Happiness and Marketing Dept.- Union Coop received the award in the ceremony that was held at Dubai’s Police Officers Club. It is worth mentioning that Union Coop, the largest consumer cooperative in the UAE organized in cooperation with ‘Juvenile Association’ an awareness lecture titled ‘Nurture with Love’ to raise awareness among parents about the dangers of not having dialogues and discussions with their children. This was part of the eighth awareness campaign of the association under the slogan ‘Be with Your Children, So they be with you’.